From a web site of mine, posted in 1999. The prophecies of Anton Johansson are now becoming more relevant for our time. We think there is peace and there will be no more great wars, but this is a falsehood. The bombing of Serbia by NATO was a great mistake, and I think the end result of this action is that Communism will have a resurgence of power in Russia. Anton Johansson states that it will spread to other countries. He even might mention something about the current situation in Serbia, so read on. One of the greatest and most trustworthy prophets of this century has been a simple, pious Norwegian fisherman, Anton Johansson. He was born in 1858, in Sweden, but at the age of sixteen he moved to Norway and made a living by fishing. In later years he became surveyor of land. Already since 1884 he had begun to see visions and to hear voices, which bade him to pray on behalf of men who were to be shortly carried off by death. His predictions always came true. At night he often woke up, hearing the command to pray on behalf of fishermen who were at sea, of seamen whose ship was endangered by a tornado in the Carribean Sea, of people who were imperiled during the earthquakes of Messina and San Francisco. He later related how he had to pray also on behalf of the Titanic's passengers on the night of the shipwreck. This simple man in December, 1913, left his village. He had saved 200 crowns for the journey to Kristiania (now called Oslo), the capital of Norway. In Kristiania he called on Keilhug, the minister of war, and asked him to inform all other members of the cabinet, that in the next year, 1914, a great war would flare up. He implored the government of Norway to do everything in its power to prevent the war. He informed the Norwegian authorities of his intent to go to Stockholm and then to Berlin, in the hope that he would able to persuade Kaiser Wilhelm to abstain from intervening in the coming war. "I had my greatest vision in 1907, during the night of November 13. On that day I felt very tired and went to bed early. In the middle of night I was awakened by a voice which said: Thou will be given to know the secrets of heaven. My room was filled with so bright a light that it dazzled me. I wanted to look up towards from where I had heard the voice, but felt myself unworthy and bowed down in prayer. My soul was filled with overwhelming heavenly bliss, and I understood that my Saviour himself had awakened me. "Then I was led in spirit to a place from where I could see everything that will happen to the world and especially to my homeland Norway. I was shown the greatest misfortune that will afflict the world - a great war. In spirit I saw the officers under whom I will have to work as a surveyor in Finnmarken during the next seven years. I was told their names, and for each name a year was mentioned. This revelation I understood as a sign that the great war will come after the seven years will have passed. I saw and heard that the war will break out between Austro-Hungary and Serbia. Then I saw the German eastern front with trenches full of men and weapons. The front was stretching from the Black Sea to the Baltic Sea, and over the whole front great noise was reigning. I saw how the Russians in great masses overflowed great regions of German land, and how great clouds of smoke were rolling forward, together with the front. Great fires could be seen in many places. Then the voice said: The war will come because of the wickedness of men, but thou shall warn the Norwegian government and shall go also to Stockholm and Berlin. Thou shall be my witness. I answered: 'I am unworthy of being thy witness before these high lords. I have not attended school, I can write only with difficulty and I do not speak German.' The voice said for the second time: Thou shall be my witness! I answered: 'I shall try.'" About the postwar period Johansson predicted the spreading of frightful diseases. It came true in the form of influenza epidemics, which took the lives of several hundred thousand men. He further predicted that socialism and its varieties would grow immensely throughout the world and cause revolutions and upheavals in Russia, Germany, Austro-Hungary, England, Italy and also in America, Canada, India and China. In Russia war, revolutions and diseases will carry away so many victims that nobody will ever know the number of people that will perish there. Finland too will have a revolution and will liberate itself from the clutches of Russia, but only for a short while. She will become enslaved by Russia again, and will be oppressed more than ever, and much blood will be spilt in that land. Johansson urged the Finnish nation to turn to God in prayer, in order that it should not remain oppressed forever. Germany will be long tormented by revolutionary movements, especially in her southwestern part. In England the worst disturbances will be in the southern part of Wales and the surrounding country. In this connection the voice said, England stands on the brink of a precipice. Disturbances and rebellion, war in the colonies, war in Ireland and natural catastrophes will be among the misfortunes that will befall that land. Heavy fighting will take place in India: "It will begin with a great rebellion in northern India, where I heard the name of Delhi as a city greatly visited by war. After that, rebellion will break out also in central and southern India. I heard the name of Calcutta mentioned. The war will end with India's complete deliverance from England, but will be followed by dreadful epidemics and unprecedented famine and other afflictions. War and its consequences will kill twenty-five million Indians." "About America I heard our Lord say that five great wars are to be expected for that land in the future, whereof two will be violent civil wars ending with America's division into four or five smaller confederations. In one of the great wars America will be drawn into a conflict with Canada. That was all I heard about America, but as the events of that land interest us less, I did not try to bear them in mind. I also cannot recollect any time or period being mentioned in this connection. Nor do I remember anything about Japan, but about China I heard that there will be immense revolutions, and more to come. "I saw two natural catastrophes, one was an unheard of hurricane, raging over two continents and the other an immense earthquake, connected with the eruption of a volcano in the North Sea. I was led in spirit to the great cities on England's east coast. I saw ships thrown on the shore, many collapsed buildings, and much wreckage floating on water. At sea many ships were wrecked. Then I was shown Holland, Belgium and the German coast of the North Sea, which all were heavy visited. Among the most afflicted cities I heard the names of Antwerp and Hamburg mentioned. There great warehouses were flooded and all merchandise lost. Even Denmark's western and northern coast and Sweden's western coast had suffered." This prediction came true in February, 1953, with an unprecedented flood catastrophe in northern Europe. Everything took place exactly as described by Johansson. Whoever has forgotten these events, should reread news dispatches of those days. When this prediction in 1953 came to be accomplished, great excitement and anxiety arose in Sweden, since everybody began to fear that the rest of Johansson's predictions and especially the predicted Swedish-Russian war (which is described further on) might be imminent. About natural catastrophes and epidemic diseases Johansson predicted: "Natural catastrophes will occur in many parts of the world, and a turbulent activity will begin within the womb of the earth. Great tremors of earth and vehement eruptions of volcanos will afflict the world and partly also such regions which hitherto have been spared. In Italy they will be more destructive than ever. Great many people there will save only the clothing on their bare backs. There will be a new eruption of the Vesuvius. Hurricanes of great violence will afflict not only America, but also Europe, especially England. I saw not less than five great hurricanes. Thunderstorms too will in those years be devastating and will occur in Denmark, North Germany and southern Sweden. Simultaneously with these trials by nature, great epidemics will roam about the World, carrying off many victims. They will come in three periods, whereof the first will begin already during the last part of the world war and will continue for several years after the war will have ended. The next period will come after the English-Indian war, when two new, unknown diseases will spring into existence. They will be more dangerous than all others and will spread over the whole world, claiming an immense number of victims. In Russia they will be especially intense, and the voice told me that these and other diseases would visit Russia because of her great impiety. If I remember correctly, a fourth part of her people will perish through these diseases. One of the most dangerous diseases will consist of people becoming blind and losing their mind. For those afflicted by this disease, it will be very dangerous to drink alcohol. The third great period of epidemics will come after the Spanish-French war. Mostly it will be a serious pulmonary disease, but there will be also other unknown maladies, one such that people will become utterly emaciated, another one similar to leprosy, because the flesh of the afflicted persons will start to peel off. Both belligerents will be the first to become acquainted with these maladies, but they will later spread over all Europe and over great parts of other continents. France will suffer most and will lose almost all her young men and women. "The last great calamity, seen by me that night of 1907, was Sweden's and Norway's war against Russians and Frenchmen. Socialism will at that time have gained power in both northern countries, and in Sweden socialists will have the reins of government in their hands. They will do what they will and by their actions will be partly responsible for the war and its unfortunate result. Socialists will have drawn a great part of the Swedish nation into atheism. Sweden will be forced to prepare for war in great haste. Yet, during the war, it will turn out that Sweden also has new weapons and inventions, unheard of by the people and kept secret bt the government. One of these will be an electrical invention, owned only by Sweden and unknown in the whole world. Because of it, Frenchmen will perish in great numbers near Goteborg. Little would be needed, and Swedes would have won the war. Had not other means of resistance been so deficient, the French or the Russians would have come to terms with Sweden. The voice told me: If the Swedes could hold out only fourteen days more, the French army would have capitulated, and had Frenchmen known that the Swedes have weapons so formidable they would never have dared to attack." Then Johansson relates in detail the course of the war, mentioning cities and other place-names. Heavy fighting will take place around Goteborg, which city will almost entirely be reduced to a heap of rubble. Frenchmen will there suffer great losses, but will put to shore always new troops and reinforcements. French resources will be nearly exhausted when the Swedes will suddenly capitulate. Halsingborg, Malmo and Lund also will be among the heavily devastated cities, but Stockholm will suffer less because of better organized and more effective air defense. Among the heavily bombarded cities of the west coast, Johansson mentions also Falkenberg. He reports on having seen there immense shipmasts, imbedded in the ground, and says that he cannot understand what it means, because the sea is still quite remote from that place. The interpreters of Johansson's attach to these sentences great importance, since it is clear that Johansson has seen the present antenna masts of the great Grimeton radio transmitting station. The fact that Johansson has seen them at a time when they had not yet been built and when such radio transmitting stations did not yet exist at all, can be considered as a proof that Johansson's visions of the future are true and authentic. The further course of the war: "Russians will invade North Sweden partly through Tornea, partly over Kvarken. Heavy fighting will take place north of Stockholm, with great bravery on the Swedish side. Russians will lose men in great numbers, but it will be of no avail since they will come on in ever new masses. They will conquer all northern Sweden, and as one of the most afflicted and plundered cities I heard Gavle mentioned. Boden will have surrendered without having offered resistanoe. South of Stockholm the Russians will first take the islands Gotland and Oland. Then they will disembark on Sweden's soil near Vastervik and will proceed partly towards Stockholm, partly in the direction of Goteburg, to aid the Frenchmen. But they will not get far, before the Swedes in Goteborg will have capitulated. "In Norway the Russians will invade Finnmarken. The Norwegians will repel the first attack, but will finally be defeated and will retreat southward to the Porsanger Fjord. In southern Norway, south of Kristiania (Oslo), near the Swedish border, Swedes and Norwegians will fight shoulder to shoulder. French airplanes will bombard the whole coast up to Trondhjem. As the most afflicted cities were mentioned Bergen, Drammen and Kristiania, but none of the Norwegian cities will be so totally destroyed as Kristiansand. "Norway's defeat will be sealed simultaneously with the defeat of Sweden. Norway will have to cede to Russia all land north and east of Lyngenfjord. Sweden will cede a part of its northern region and the island Gotland. 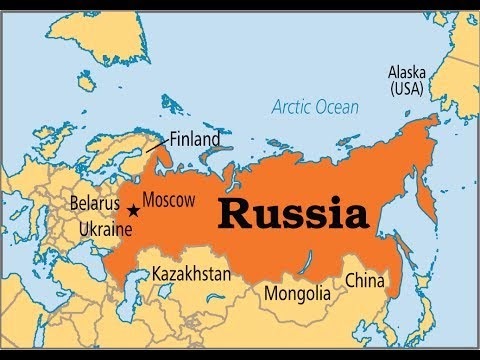 Europe will be astonished seeing that the Russians do not keep all of the occupied northern half of the Scandinavian peninsula. When I anxiously asked the Lord if both our lands will indeed become oppressed and pillaged, the Lord pointed towards Lyngenfjord and said: So far they will come but not farther. The war will be short. It will break out in summer and will end when the autumn will have hardly begun. It will be caused by a conflict at Norway's northern frontier. Hostilities will be opened by the Russians, whereafter the French will help them. Nobody will come to help Sweden. The Germans will be in disagreement, England will have war in Ireland, in southern Europe heavy earthquakes will take place, Belgium will have the same frontier as the military frontier of April 1918. The Finns will take no part in the war. They will be heavily oppressed, will have no access to weapons, and after the war they will be oppressed more than ever. The Balkan states will be in a deplorable situation at that time, especially Romania and Serbia. Even Greece will then be helpless. As for Turkey, I want to warn its citizens not to persecute Christians, but to become devoted to Jesus lest they get effaced from among the number of independent countries. The Jews will at that time have returned in great crowds to Jerusalem. "Having seen and heard all this, I prayed in spirit to God and said: 'I know that no man shall be informed of the day of Thy coming, but tell me how far or near we then will be from the tribulations of the Book of Revelation?' The Lord answered: Before many more tribulations will come, other men will appear who will prophesy and warn mankind of what will happen." Anton Johansson died in 1929. For further analysis of the prophecies of Anton Johansson, I recommend the book, The Fate of the Nations, by Arthur Prieditis. The sequence of events is often hard to determine, but he clearly stated that the war in India would precede the future Franco-Spanish War. At the time India was an English colony, so Johansson understood that it would be a war between India and England. I consider it more likely that he saw a war that would erupt between Pakistan and India. India became divided between Pakistan and India in 1947, and ever since that time there have been several wars between the two nations over border disputes. And now both countries are developing nuclear weapons. I don't believe the timing of prophetic events is ever set in stone; perhaps the peaceful work of Gandhi in India had delayed the prophecy from reaching fulfillment. As for Johansson's comments on Greece and Turkey, I believe there will be another war in the future between those two countries. Nostradamus foresaw a conflict in Greece that would cause NATO to be disbanded in that area, and a newer alliance formed. Again, nothing is set in stone, and these prophecies can be lessened through human action. That is why Johansson urges Turkey not to persecute Christians. A simple understanding between Christians and Moslems would have prevented the outbreak of many wars. Johansson foresaw three great hurricanes before the coming of the Franco-Spanish War. The hurricanes he describes are intense and nothing like we have ever seen before. Some interpreters have doubted what he said concerning these hurricanes, and thought he might be describing atomic weaponry. One hurricane will begin around Panama, affect the Gulf states and Florida, and will move in a wide belt along the Missisippi and gather strength around the Great Lakes. Chicago, Minneapolis, Washington and New York will suffer. Skyscrapers will rock and collapse, and wide areas will be set on fire. From Canada the hurricane will travel across the Atlantic and hit west and south-west Europe. No hurricane has ever behaved in this manner. We now know that the earth's weather is gradually warming, and due to global warming hurricanes and tornadoes are going to become more frequent and intense. America is primarily responsible for much of the global warming, though the government does not want to admit it. Global deforestation is also a contributing factor. What goes around, comes around. The hurricane will be so great that America will not recover from the devastation. An interesting collection of prophecies concerning a future war involving Russia and Europe can be found here. Interesting article. Here's some clarifying and supporting information. If you'd like some stunning insights into what's happening with the synchronicity of the recent comet and Nostradamus' Lost Book buzz, then read the article at the following link. I demonstrate significant internal evidence from these Lost Book images that they were indeed dictated by Nostradamus and that they encode much more earthshaking revelations than so far published. Wow. A comment on my blog, which I just approved (almost a year later). Looks like I need to start paying attention to this blog. I think I will start leaving more posts here. Looks like Russia is resurgent with its war in Georgia. I think it will start to rise, as America wanes. There is going to be a future French-Russian alliance, according to some prophecies. As for the "lost book" of Nostradamus, I remember seeing an assessment of this work on the History channel. It is a late work, and in my opinion, most definitely a forgery. I am sorry to say that Billy Meier is most likely a hoax. This has been demonstrated repeatedly by analysis of his photographs, and those who have been at his house saw some of the models he had built (even Gary Kinder in his book mentioned this). Most likely explanation is that he just plagiarized from Anton Johansson without acknowledgment. That he is fraudulent, is shown by the Talmud Jmmanuel which is an obvious forgery based on the four Gospels. It is not just a rewritten form of the gospel of Matthew, it is an utter fraudulent hoax, and has no foundation in manuscript or historical evidence. And from what I heard he altered it again by "channeling" further information. This puts his entire testimony in question. Not to mention fraudulent photos of dinosaurs he took from a history book. There are other contacts that are much more reliable. Well, a false opinion, not sure who this person is but there is physical evidence for extraterrestrial contact. Some of it by now has probably been replicated but back in the 1950s we had nothing like it. Read William Guy Carr, Pawns in the Game and Satan Prince of This World if you haven’t already. God revealed the plans of his adversary through lightning strikes. Must reads. Those look like excellent book recommendations, thank you. Have not read them. But yes, I am aware that there are rich and powerful people that do try to control things behind the scenes, how media is a propaganda machine. WHY would the Russians fight WITH the French ??? !